Kikimore Warrior and Workers are Creatures/Monsters in The Witcher 3: Wild Hunt. They were added with the Blood and Wine expansion. "Then the kikimore princess summoned all her loyal sisters and off they went! Together they charged the enemy trying to harm their queen. It is unknown how exactly it is kikimores communicate with each other. Autopsies are hampered by the high toxicity of their subjects. Scholars have established that kikimores do not seem to possess any detectable auricles. One amateur researcher, Count di Salvaress, put forth a theory in his treatise “A Microscope Among Monsters” suggesting kikimores have a highly developed sense of smell and use airborne particles undetectable to humans to transmit information. This theory has yet to be proved or disproved. Kikimore warriors defend their nests from attackers. They attack somewhat slower than kikimore workers. They are able to spew streams of caustic venom a great distance and leap to attack. This venom is highly unique in that it reacts with a witcher's body to raise the level of his potion toxicity. They are covered with thick, hard armor which easily deflects blows from even the sharpest sword. Kikimore warriors are protected by swarms of workers which obey their orders until they are themselves eradicated. They are completely immune to the effects of the Axii Sign, but vulnerable to Igni, oils and bombs harming insectoids and blows dealt by a silver sword." The old fool came home all black and blue, claiming kikimores had attacked him in the woods. Who does he take me for?! His mates worked him over because he’d cheated at gwent. If it’d been kikimores, he’d be dead. And I’d have peace at last. Kikimores form colonies, making them similar to communal insects such as ants. A kikimore colony is ruled by a queen and organized into something of a social hierarchy. Kikimore workers take care of hunting food and bringing it back to the nest, while kikimore warriors defend the nest against attackers. A worker on its own can be easily killed by even a weak person or a child. It is rare indeed, however, to come across an isolated individual, for kikimore workers usual move in groups of a few to a dozen or so members. The only defense against a swarm of kikimores available to a normal person is to flee. And not even that is guaranteed to work. Kikimore workers listen to orders given by kikimore warriors. On command, a swarm of workers might begin burrowing tunnels near potential prey to allow for a surprise mass attack. Eliminate the warrior guiding a swarm, however, and the workers will disperse and cease digging. Kikimore workers are nimbler and quicker than warriors. They show complete immunity to the Axii Sign, and when they dig tunnels, they are invulnerable to all the other Signs as well. Poison also does them no harm. 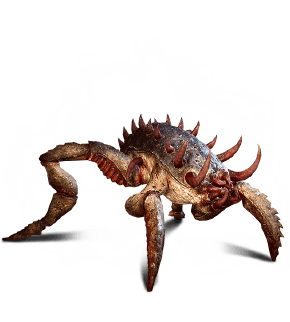 A good method for fighting them is to use the Igni Sign as well as oils and bombs meant to damage insectoids. Kikimores groups tend to consist out of several workers and one warrior. The warrior is much larger than the other Kikimore and has a deadly leaping strike. Regular dodges are often not enough to evade this attack. Kikimores have the unique ability to build up Toxicity. This means that a few strikes will leave you unable to swallow anymore potions. You will also suffer overdose effects like 50% health and health degeneration. This can be neutralized by equiping a fully upgrades version of Heightened Tolerance. Kikimores are fast, Yrden will make them less active and more vulnerable.